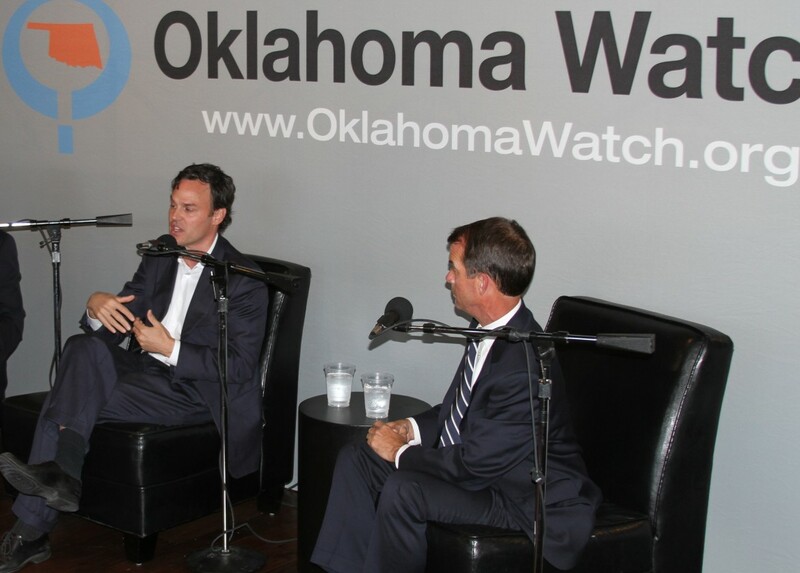 Oklahoma Watch Executive Editor David Fritze, left, speaks with Andrew Rice, executive director of Variety Care Foundation, and Terry Cline, Oklahoma commissioner of health, at the first Oklahoma Watch-Out Tuesday in Oklahoma City. Rice, center, and Cline, right, speak about a variety of topics related to the Affordable Care Act. Click here for a written report on the event. Will the Affordable Care Act make Oklahomans healthier? Oklahoma Watch’s Warren Vieth is searching health-care options on the federally-run health-care marketplace for Oklahoma. He’s tweeting in real time as he tries to navigate the enrollment website. Check out his tweet chain.